The thought of getting my pasty pins out in skirts and dresses this summer makes me cringe. 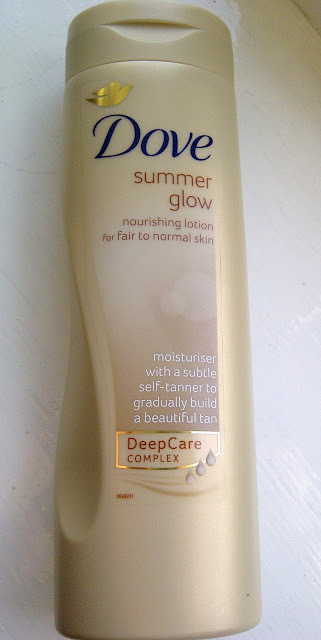 I have a very pale skin tone and I never naturally tan, so I decided to try Dove's Summer Glow lotion. It's more of a body cream than a lotion, the texture is smooth but quite thick. It also has a nice light scent when you first use it. I used my hands to apply this, it was easy to smooth over the skin, so it was a simple application. I do advise washing your hands thoroughly after use to avoid orange palms. After applying, I noticed I was still a little sticky a few hours after application and when I got into bed, I felt like my skin was sticking to the bed sheets. I woke the next day and noticed a streak on my wrist. I noticed a slight change in colour but nothing to dramatic. The major down side to this product is that the nice initial smell turns into that horrible fake tan smell of biscuits. 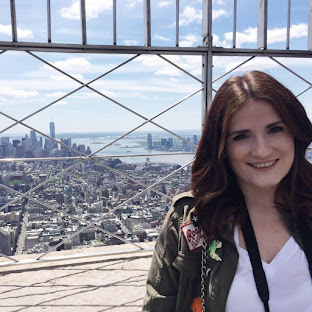 I continued to use the product to see how it would perform in the long term. 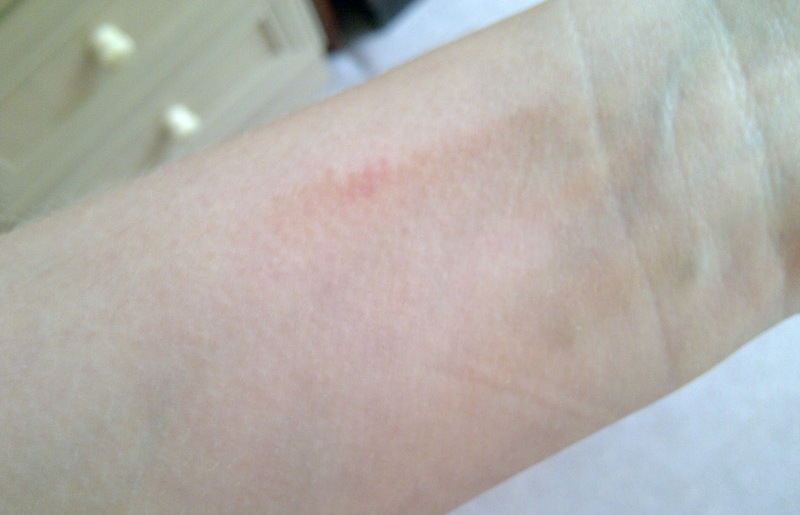 When showering, I noticed that patches of the colour would rub off, it wore off so unevenly and looked blotchy. My friend also noticed this when she tried it out. I wouldn't recommend this again, yes it gives you a slight colour and it's hydrating to skin but it's not worth it for the smell, streaks and patches! I give it a 1.5/5. Any recommendations for a good gradual tanner? Damn. I was hoping this would solve my pasty leg problem too :( FIND ANOTHER ONE!! I'm using xen-tan dark at the moment but it doesn't go dark on me just a natural glow and I'm really pale too. I have used Johnsons for years, it kind of smells which my boyfriend hates but I haven't had any streaks as of yet and you get a decent glow. I know what you mean about the smell.. If you're using it on a regular basis, it becomes more and more sickly, bleurgh!